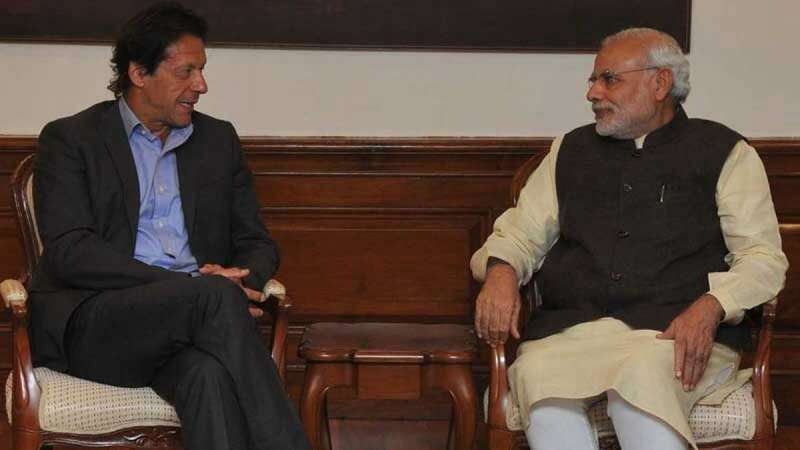 New Delhi : Weeks after India did airstrike terrorist camps in Pakistan's Balakot region, Prime Minister Narendra Modi has extended greetings to his Pak counterpart Imran Khan on the eve of Pakistan's National Day. Mr Khan thanked PM Modi in a tweet and said this is an opportunity for both the nations to go for a dialogue. Mr Khan said he welcomes PM Modi's message and that he believes it is time to begin a comprehensive dialogue with India to address and resolve all issues. He said the two countries "need to forge a new relationship based on peace and prosperity for all our people." Pakistan celebrates its National Day to mark the Lahore Resolution on March 23 each year. The Pakistan High Commission in India celebrated the day on March 22, none of the Indian representatives attended the event. "The decision was taken after Pakistan High Commission decided to call Hurriyat leader to the reception. In February we were very clear, any attempt by Pakistan High Commission or Pakistani leadership to engage with Hurriyat leaders will not be taken lightly," Foreign Ministry spokesperson Raveesh Kumar said.